Teach your kids about the Full Armor of God from Ephesians 6:10-18 with this fun craft. You'll receive step-by-step instructions and Armor of God costume printables in ESV and KJV. This product is a digital download. These can be adorned any way you’d like. Your child can practice stitching, use sequins, or even puffy paint or permanent markers. You can also just use the felt undecorated. 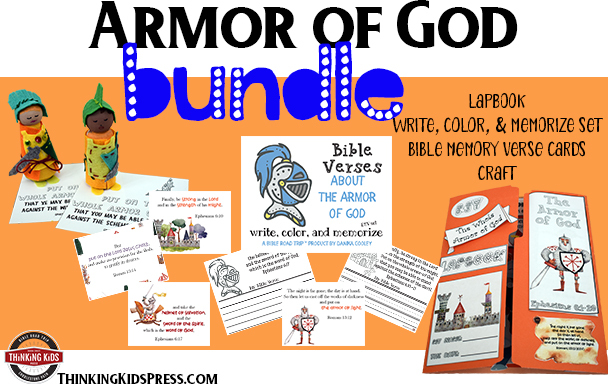 ﻿Get started studying the Armor of God with your kids today!